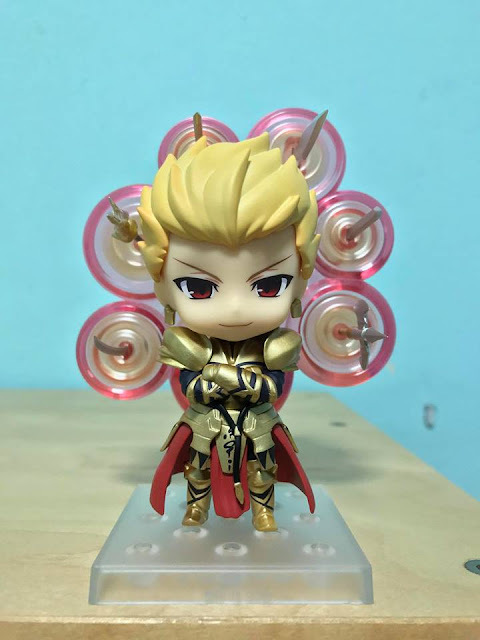 When I started collecting anime figures last year, Gilgamesh's Nendoroid caught my eye for all the wrong reasons. 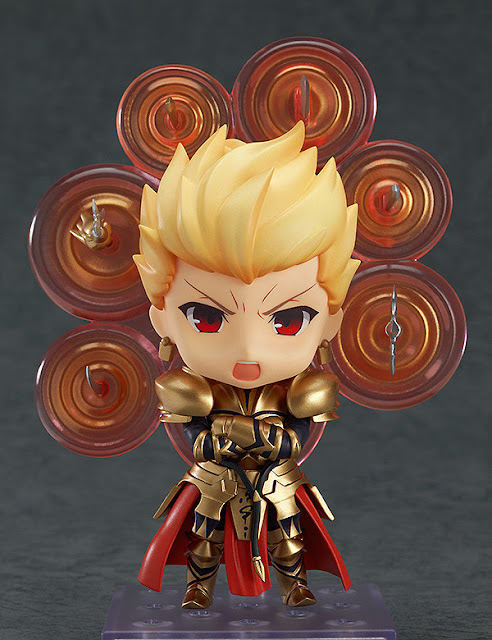 The King of Heroes had a price tag that befit his stature and don't get me started on the availability of the Nendoroid in the first place. Fortunately, Good Smile Company decided to throw us all a bone and re-release the Babylonian king late last month. 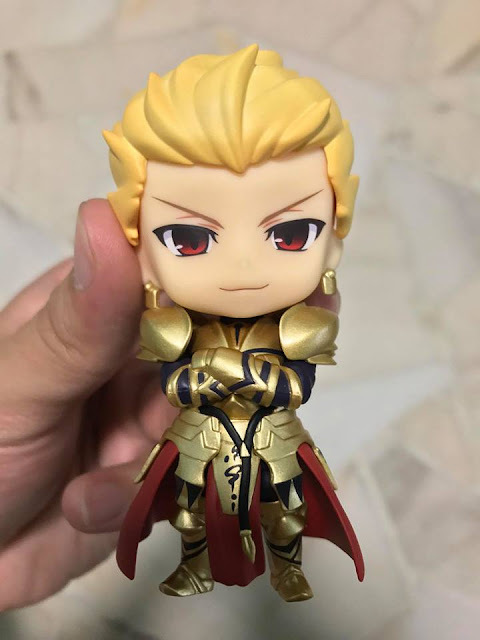 For collectors who missed out on purchasing his Nendoroid three years ago, here's your chance and to those who decided to succumb to absurd aftermarket prices, I'm terribly sorry for your loss. Gilgamesh is perhaps the most flashy character among all the Nendoroids from the Fate/Stay Night franchise, thanks to his pure gold get-up and Gate of Babylon Noble Phantasm. And not forgetting the gold jug and cup you saw in Fate/Zero. It's easy to see why he's so coveted among collectors and fans alike. Even his casual outfit in the visual novel's Fate route screams nouveau riche. 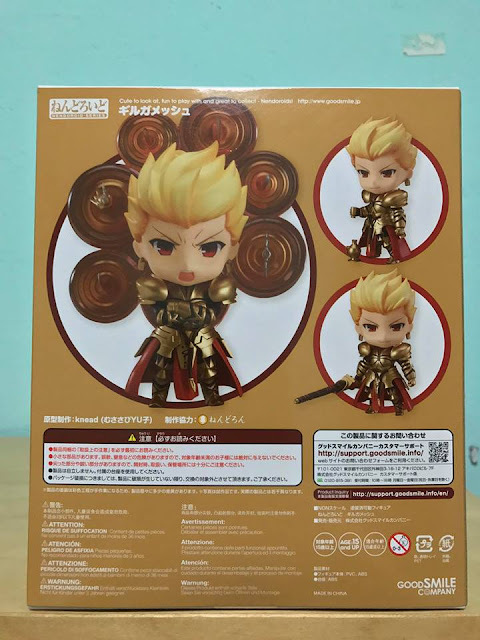 Having bought more than ten Nendoroids over the course of the last nine months, I can safely say that I've seen every box design out there. 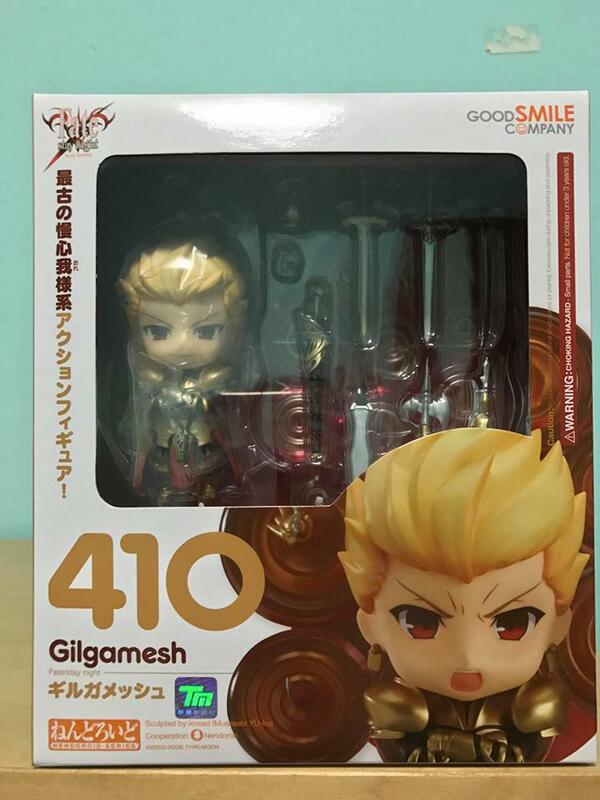 But Gilgamesh still stands out thanks to his armour and Gate of Babylon Noble Phantasm. One glance at the blister pack and I knew I had to pose Gilgamesh with the Gate of Babylon along with the six weapons that were included. The gold wine jug and goblet and even Ea paled in comparison to the red-hued Gate. 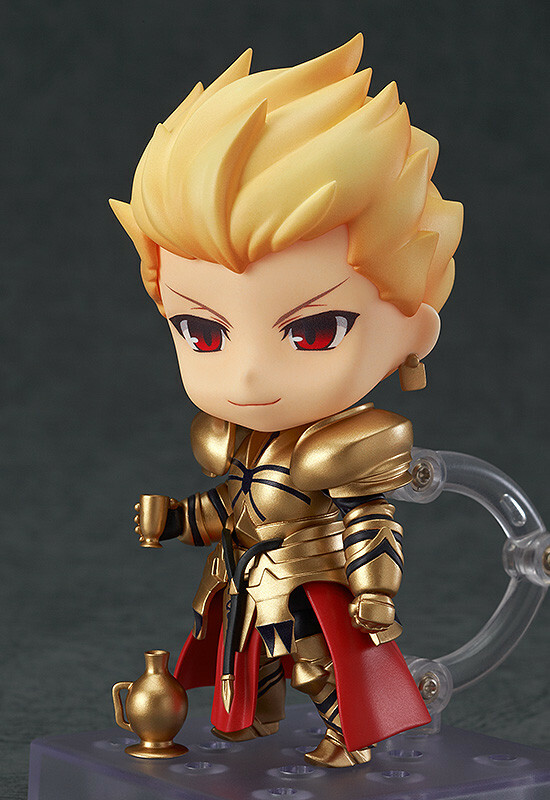 However, I lament that Good Smile Company didn't use the bright gold version featured in ufotable's anime adaptations instead. The weapons included are as shiny as they look and several are easily identifiable; having their own individual entries in the visual novel's Weapon menu. 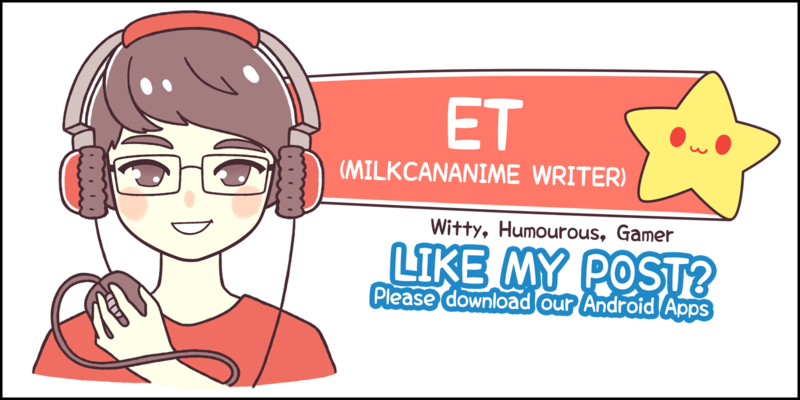 These include Gram, Durandal and Houtengeki. 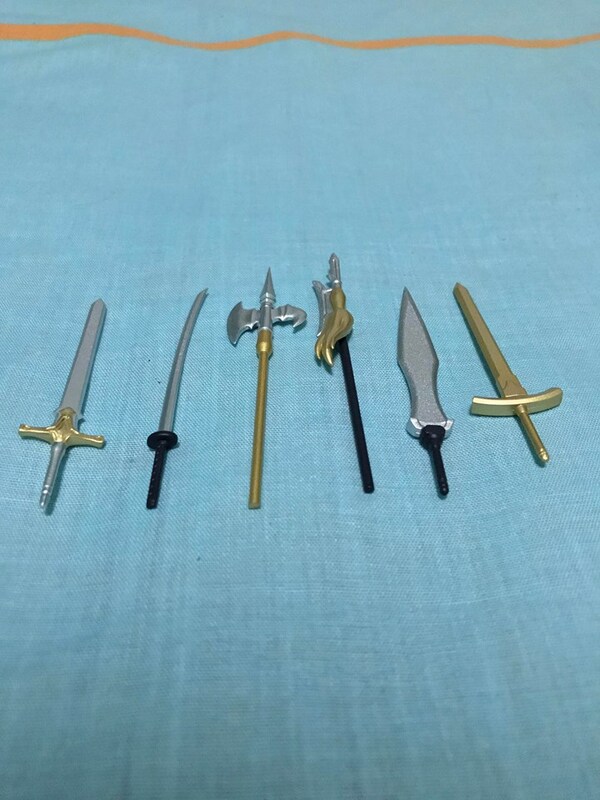 Each weapon can also be held easily, opening up even more poses for the chibi King. Gilgamesh's default faceplate features his usual smug grin and I too would feel equally cocky if I was decked out in gold from head to toe. I appreciate how well sculpted his hair is, even though his armour steals most of the limelight. Another interesting feature would be the joints on his shoulder pads. The articulation comes in handy when you attach the alternate parts for his arms, allowing you to move them out of the way. This was one of the easiest Nendoroids I assembled, requiring close to no effort, other than inserting the usual stands and pegs. 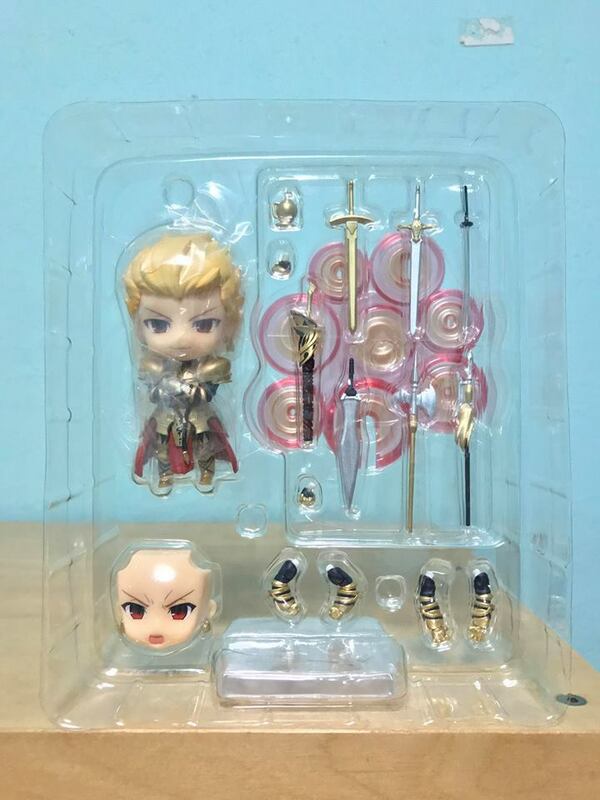 I even spent more time taking photos of the Nendoroid and the accessories compared to actually assembling and displaying it. The Gate of Babylon accessory could easily be attached to the stand and fortunately, it was sturdier than it looked. The ripple effect in the Gate of Babylon was faithfully recreated but unfortunately, my room's bright lighting makes the piece look more pink than red. 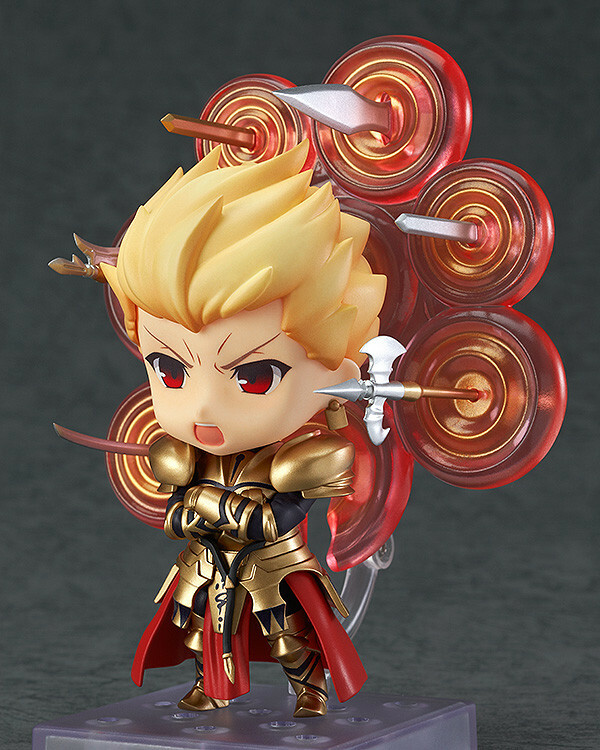 With the Fate/Stay Night franchise boasting so many anime adaptations this year, Gilgamesh's re-release is far from the last Fate-related figurine we'll see. I'm looking forward to what the two Wonder Festivals have in store for us! No Comment to " Figure Unboxing and Review: Nendoroid #410: Gilgamesh (Good Smile Company) "